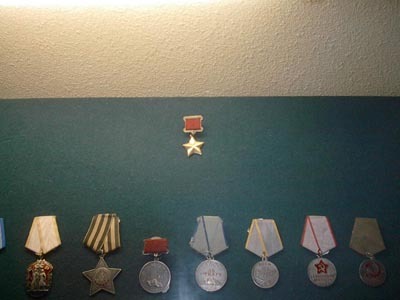 This was the highest award for soldiers and officers in Soviet Army. The star of a hero. Stalin didn't give them away for a song. One had to do something really outstanding to deserve this. Something like throwing himself under tank with grenade.. I don't have this award in my museum. No way to dig them. Only 11.270 of such medals have been issued during all years of war. 2.616 of them have been given for battle of liberation of Kiev. This is more then for Stalingrad and even more then for Moskov. Stalin was generous with the medals because he put million lives at this battle, but mostly because he wanted Kiev to be liberated to the revolution day of November 7. 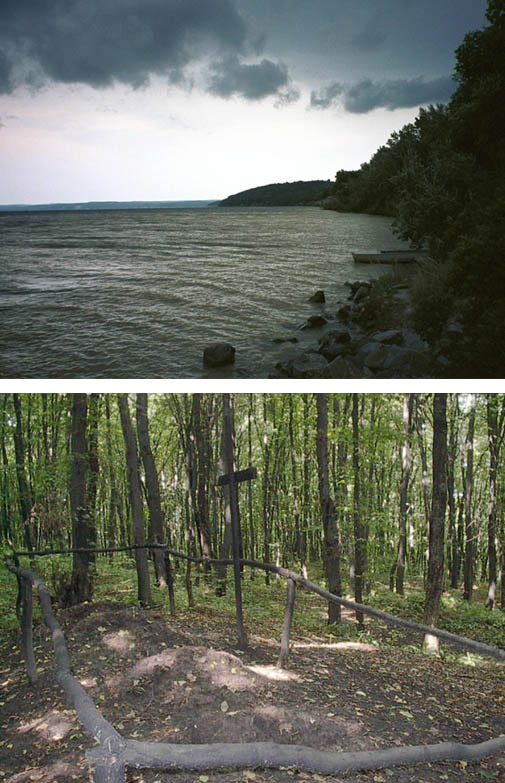 The Soviets have been crossing all along the Dnepr river in 22 different places. The battle-ground spread on a few hundred kms. They have been climbing up and Germans held defence on the hills. Russian Katyusha rockets poured everyone with iron from the left bank. 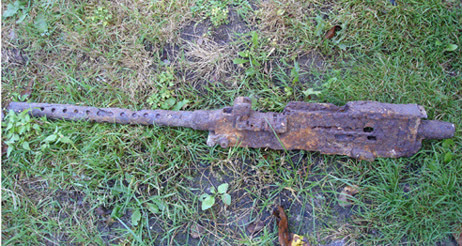 German machine gunners had two directives 1) to be able to reload cartridges 2) not to go insane of all amount of people they were killing. No one was going on battle fields in first ten years after war. Mines have been removed from surface only in 1954, but not everywhere. In areas which hard to access, they are still there and locals not a very enthusiastic about visiting this hills. Soldiers there too, under leaves, bones, skulls, jaw-bones... teeth mostly good of young people. In Soviet army of those who were born in 1922 only 3 out of 100 came home from war, the rest 97 on those hills. I believe, for German army statistic must be similar as young people the same everywhere, do not know the value of life, have no fear and for their regimes it was easier to fool young.